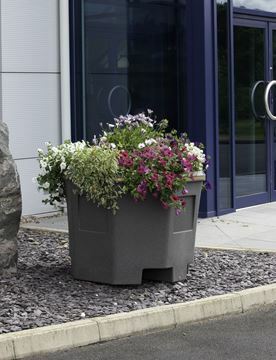 Planters are a great way of adding colour to an urban environment, but the ongoing maintenance and water wastage can make them extremely high maintenance. 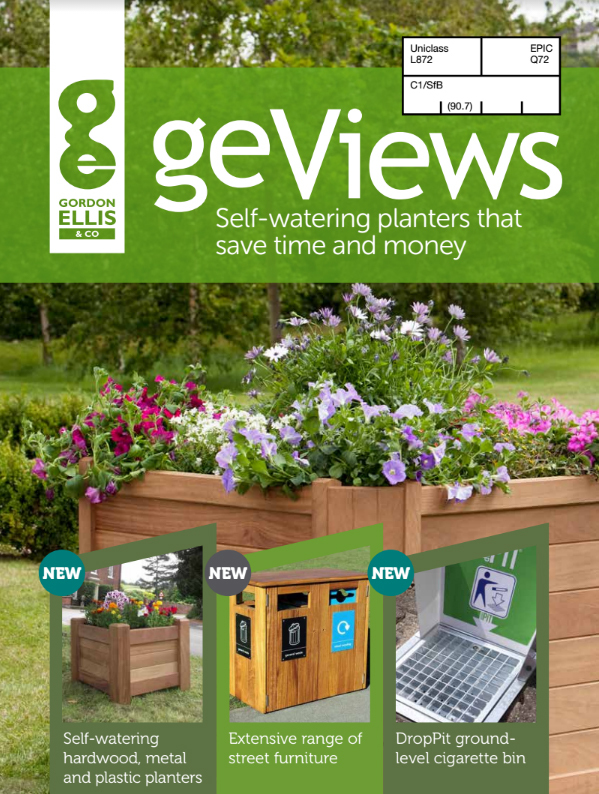 geViews aims to combat this issue with their range of self-watering planters. 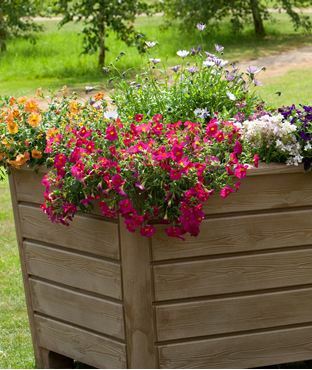 Our range features large water reservoirs which range from 5 to 140 litres. 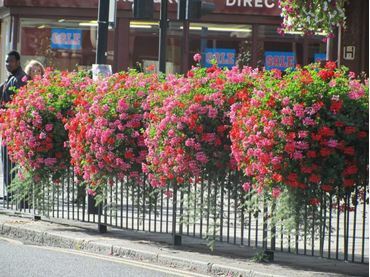 Capillary matting inside then feeds the reservoir water into the plants to ensure a consistent and appropriate level of water, so there is less water wastage. 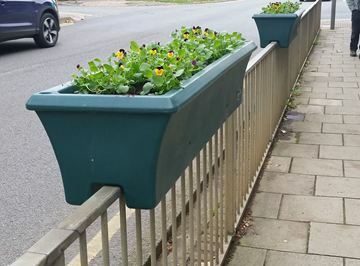 The planters are filled from the accessible watering points making tiered planters much easier to water. 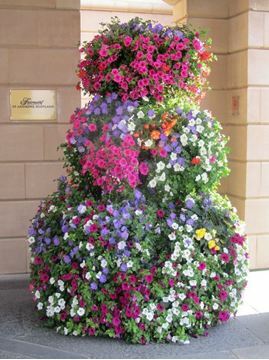 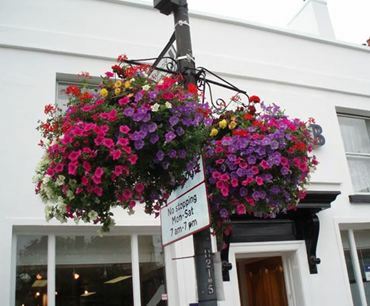 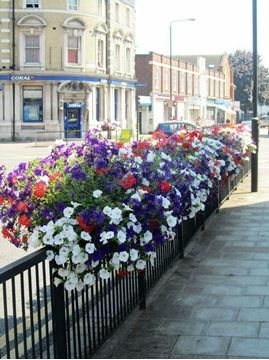 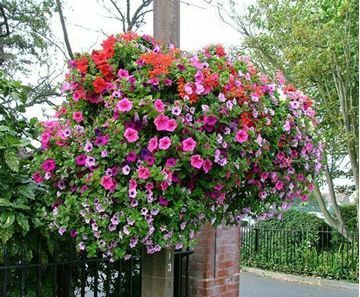 geViews has a range of self-watering designs, from hanging baskets to barrier baskets and towering planters so all type of floral displays can take advantage of this time saving solution. 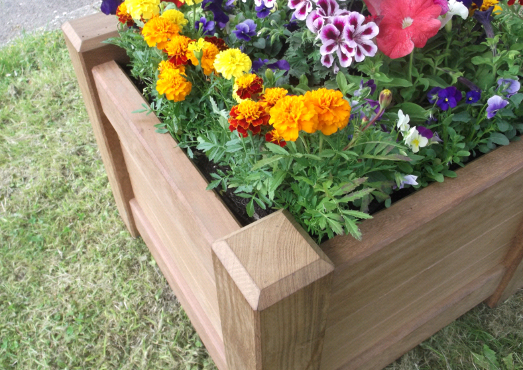 Our hardwood and metal planters can now also be fitted with self-watering systems – for more information please contact us. 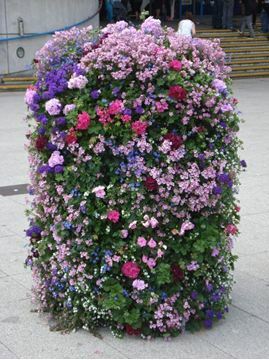 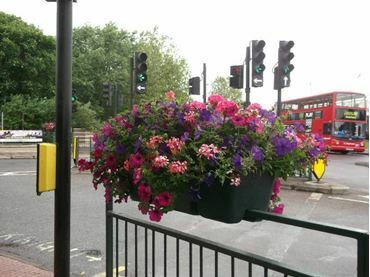 A simple low maintenance solution to brighten up an urban landscape. 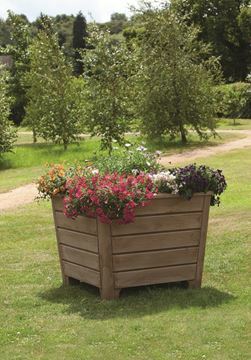 A large octagon planter; long lasting, good looking and self-watering.